We design and manufacture flow and level instrumentation products since 1974. We work day after day to offer a complete service that includes everything from the design process of the instrument to the after-sales service. During our journey we have invested consistently in human and technical resources in order to adapt ourselves to the times and to be technologically competitive. For this reason Tecfluid products today are comparable to those of the most prestigious and technologically advanced international companies. Our strength lies in constant innovation and customized manufacturing to suit the specific needs of each customer. 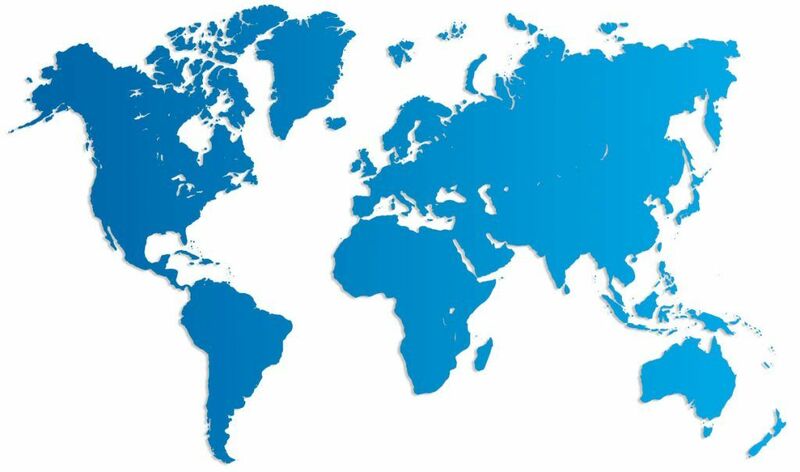 Thanks to them, we started a progressive expansion, both national and international, and we currently have presence in more than 50 countries through distributors and customers. TECFLUID S.A. are at your service offering a wide range of well engineered and quality products and a comprehensive service that encompasses the whole process of design, production, quality control and after-sales service. All the devices produced by TECFLUID S.A. are calibrated before being sent to customers. This work is done by our Calibration Department who have their own flow rigs. Traceability of Tecfluid’s flow rigs is guaranteed by international standards and is done by weighting in our own facilities. TECFLUID S.A. are constantly improving their flow rigs to calibrate with water or air. At the time being a new rig for high flow ranges for diameters up to DN1000 is currently under development. It is possible to calibrate devices from other brands, as long as they can be adapted to our installations connections, they have a reading flow measuring system and an instructions manual for handling and electrical connection, that could be supplied to us if necessary. Tecfluid S.A. have its own department of Research, Development and Innovation in order to create new products and improve existing ones. The continued investment in new products and technologies has been of 8% per year of the value of our sales. It is, therefore, one of our main keys in the manufacture of our products. The R & D & i department evaluate and carry out non-standard solutions to meet your application needs, whether they are mechanical or electronical ones. It also allows to customize any product of our own range so that it can fulfill our customers requirements. All our products have been developed by our R & D & i department and made with our own in-house technology. This deep knowledge of our devices makes that we will be able to guarantee a quick and qualified after-sales service certified as ISO 9001. </p> <h4 class='p1'><span style='color: #000000;'><span style='color: #0064a2;'>AUSTRALIA</span></span></h4> <p class='p1'><span style='color: #0064a2;'><strong><span class='s1'>Process Control Services PTY Ltd</span></strong></span></p> <p>Supply of 160 units of Series 60M1 and 2000 glass tube variable area flowmeters for Ichthys Onshore LNG Project (Thermo Scientific) for condensate sampling in a combined cycle plant.</p> <p>Supply of level indicators, detectors and transmitters Series LT for storage of Diesel fuel in tanks for the Australian Navy.</p> <p>Supplied 300 variable area flowmeters with glass and plastic tube and orifice plate flowmeters Series 6000, PS and PR61 for supply of drinking water by the desalination of sea water in the Victoria desalination plant. </p> <h4 class='p1'><span style='color: #000000;'><span style='color: #0064a2;'>CYPRUS</span></span></h4> <p class='p1'><span style='color: #0064a2;'><strong><span class='s1'>PECPA Trading Ltd.</span></strong></span></p> <p>Supply of electromagnetic flowmeters Series FLOMID of sanitary execution for drinking water dosage in rotary filling machines with bottles of 0,5 and 1,5 liters. </p> <h4 class='p1'><span class='s1' style='color: #0064a2;'>EGYPT</span></h4> <p class='p2'><span style='color: #0064a2;'><strong><span class='s1'>01Electronics</span></strong></span></p> <p>Supply of insertion electromagnetic flowmeters Series FLOMAT, to bring drinking water to various towns and cities. </p> <h4 class='p1'><span class='s1' style='color: #0064a2;'>FRANCE</span></h4> <p class='p2'><strong><span class='s1' style='color: #0064a2;'>Tecfluid France s.a.r.l.</span></strong></p> <p>Supply of guided radar level transmitter LTDR series and level indicators, switches and transmitters model LTL116 / AISI 316L for indication and level transmission in alcohol tanks installed in hazardous area for Eras Ingénierie.</p> <p>Supply of SC250 / AISI 316L metal tube variable area flowmeters with ATEX certified enclosure for minimum flow control of in-line refining process (gasoline). </p> <h4 class='p1'><span class='s1'>INDONESIA</span></h4> <p class='p2'><span style='color: #0064a2;'><strong><span class='s1'>PT Tawin Citra Instrument</span></strong></span></p> <p>Supplied 150 pcs of metal tube variable area flowmeters of Series SC250 for Fuji offset plate production lines. </p> <h4 class='p1'><span class='s1'>ITALY</span></h4> <p class='p2'><span style='color: #0064a2;'><strong><span class='s1'>Precision Fluid Controls s.r.l.</span></strong></span></p> <p>Supply of metal tube variable area flowmeters Series SC250 for increased pressure with special ANSI 600 lbs RTJ flange.</p> <p>Supply of level indicators Series LP for storage of NaOH in geothermal power plants. </p> <h4 class='p1'><span class='s1'>NORWAY</span></h4> <p class='p2'><span style='color: #0064a2;'><strong><span class='s1'>Flow-Teknikk AS</span></strong></span></p> <p>Supply of metal tube variable area flowmeters Series SC250 and M21 with indicator box in AISI 316L for oil platforms in the North Sea.</p> <p>Supply of a version of these instruments made in titanium with indicator box in AISI 316L also for oil platforms in the North Sea. </p> <h4 class='p1'><span class='s1'>POLAND</span></h4> <p class='p2'><span style='color: #0064a2;'><strong><span class='s1'>AEA Technique</span></strong></span></p> <p>Supply since 2007 of more than 1400 pcs of plastic tube variable area flowmeters Series PS with special lightened float to reduce the pressure drop for the measurement of biogas flow in landfills.</p> <p>Supply of metal tube variable area flowmeters Series SC250 and level indicators model LTL14 for the production of stearic acid in one of the largest chemical companies in Poland. </p> <h4 class='p1'><span class='s1'>SOUTH AFRICA</span></h4> <p class='p2'><span style='color: #0064a2;'><strong><span class='s1'>C&F Technologies</span></strong></span></p> <p>Supplied 350 pcs of metal tube variable area flowmeters Series SC250 for the refining of the platinum after its extraction in the mine.</p> <p>Supplied 30 pcs of Of metal tube variable area flowmeters Series M21 with AISI316 stainless steel housing and 4-20 mA transmitter for flow control in nickel mine in Madagascar.</p> <p>Supply of glass tube variable area flowmeters Series 2000 for the measurement of ethylene gas for the maturation of vegetables in greenhouses.</p> <p>Supply of by-pass level indicators Series LT for level indication of coolant in tanks for conditioning the working temperature in the galleries of the mines.</p> <p>Supply of 125 pcs of plastic tube variable area flowmeters Series PS with 4-20 mA transmitter for cooling molds in aluminum rims factories.</p> <p>Supply of 40 pcs of ultrasonic level transmitters Series LU, with remote display for the indication and transmission of level of gasoil in tanks. </p> <h4 class='p1'><span class='s1'>UKRAINE</span></h4> <p class='p2'><span style='color: #0064a2;'><strong><span class='s1'>CSC Automation</span></strong></span></p> <p>Supply of a turbine type flowmeter model TM44 of special manufacture: ANSI 300 # “Large Groove” flange, Exd enclosure and special length to be adapted to the existing installation in AZOD (Cherkasy), one of the main manufacturers of chemical products in the country. </p> <h4 class='p1'><span class='s1'>ARGENTINA</span></h4> <p class='p2'><span style='color: #0064a2;'><strong><span class='s1'>YPF REPSOL Argentina</span></strong></span></p> <p>Supply of more than 100 units of electromagnetic flowmeters Flomid series, high pressure design for injection of highly pressurized water in oil bags for extraction in YPF REPSOL Argentina. </p> <h4 class='p1'>BOLIVIA</h4> <p class='p2'><span style='color: #0064a2;'><strong><span class='s1'>SAGUAPAC Ltda</span></strong></span></p> <p>Supply of 37 units of electromagnetic flowmeters Series Flomid with internal coating in ebonite certified for use in drinking water, for the hydraulic discharge in drinking water production of Santa Cruz de la Sierra. </p> <h4 class='p1'>CHINA</h4> <p class='p2'><span style='color: #0064a2;'><strong><span class='s1'>Shanghai Radi Instrument Co. Ltd</span></strong></span></p> <p>Supply of 50 units models SC250 / AISI316L and SC250 / AISI316L + PTFE, metal tube variable area flowmeters, with 4-20 mA transmitter for aluminum refining plant.</p> <p>Supply of 20 units. of turbine flowmeters Series TM with explosion proof enclosure for China Petroleum C.C.</p> <p>Supply of 40 units of electromagnetic flowmeters Series FLOMID and FLOMAT for refrigeration system in Shanghai Hospital.</p> <p>Supply of 55 units of LD61 as level switch in ultrasonic cleaning machines. </p> <h4 class='p1'>COLOMBIA</h4> <p class='p2'><span style='color: #0064a2;'><strong><span class='s1'>Progen, S.A.</span></strong></span></p> <p>Supply of float level switches Series LC40 with side chamber for by-pass mounting to Petrominerales, a subsidiary of Pacific Rubiales Energy, the second largest oil company in the country. </p> <h4 class='p1'>SOUTH KOREA</h4> <p class='p2'><span style='color: #0064a2;'><strong><span class='s1'>Mostek Co Ltd</span></strong></span></p> <p>Supply of 10 units of electromagnetic flowmeters Series FLOMAT fully PVDF total made with Tantalum electrodes for steelworks POSCO. </p> <h4 class='p1'>UNITED STATES</h4> <p class='p2'><span style='color: #0064a2;'><strong><span class='s1'>Malema Engineering Corporation</span></strong></span></p> <p>Supply of 40 units of positive displacement oscillating piston flowmeters Series COVOL with 4-20 mA transmitter for lubricating oil (truck factory).</p> <p>Supply of DP65 / Hastelloy C 6″ flowmeter for oil platform managed by Petrobras,”dead cow” project. </p> <h4 class='p1'>ISRAEL</h4> <p class='p2'><span style='color: #0064a2;'><strong><span class='s1'>Technomad Ltd</span></strong></span></p> <p>Supply of level indicators Series LT in PVDF and PVC, for desalination plant engineered by IDE Technologies.</p> <p>Supply of level indicators Series LT / AISI 316L, with 4-20mA transmitter for n-pentene refrigerant in geothermal plants, engineered by ORMAT Engineering. </p> <h4 class='p1'>QUATAR</h4> <p class='p2'><span style='color: #0064a2;'><strong><span class='s1'>Acciona Mar</span></strong></span></p> <p>Supply of by-pass level indicators Series LT with transmitter and Profibus protocol for Ras Abu Fontas desalination plant in Doha. </p> <h4 class='p1'>SINGAPORE</h4> <p class='p2'><span style='color: #0064a2;'><strong><span class='s1'>Flotech</span></strong></span></p> <p>Supply of Series DP flowmeters for liquid mud measurement used in the drilling of oil wells. </p> <h4 class='p1'>TAIWAN</h4> <p class='p2'><span style='color: #0064a2;'><strong><span class='s1'>Royal Instruments Co Ltd</span></strong></span></p> <p>Supply of metal tube variable area flowmeter Series SC250 for Formosa Plastics Corporation. Supply of 40 units of positive displacement oscillating piston flowmeters Series COVOL with 4-20 mA transmitter for lubricating oil (truck factory). Supply of DP65 / Hastelloy C 6″ flowmeter for oil platform managed by Petrobras,”dead cow” project. Supply of float level switches Series LC40 with side chamber for by-pass mounting to Petrominerales, a subsidiary of Pacific Rubiales Energy, the second largest oil company in the country. Supply of 37 units of electromagnetic flowmeters Series Flomid with internal coating in ebonite certified for use in drinking water, for the hydraulic discharge in drinking water production of Santa Cruz de la Sierra. Supply of more than 100 units of electromagnetic flowmeters Flomid series, high pressure design for injection of highly pressurized water in oil bags for extraction in YPF REPSOL Argentina. Supplied 350 pcs of metal tube variable area flowmeters Series SC250 for the refining of the platinum after its extraction in the mine. Supplied 30 pcs of Of metal tube variable area flowmeters Series M21 with AISI316 stainless steel housing and 4-20 mA transmitter for flow control in nickel mine in Madagascar. Supply of glass tube variable area flowmeters Series 2000 for the measurement of ethylene gas for the maturation of vegetables in greenhouses. Supply of by-pass level indicators Series LT for level indication of coolant in tanks for conditioning the working temperature in the galleries of the mines. Supply of 125 pcs of plastic tube variable area flowmeters Series PS with 4-20 mA transmitter for cooling molds in aluminum rims factories. Supply of 40 pcs of ultrasonic level transmitters Series LU, with remote display for the indication and transmission of level of gasoil in tanks. Supply of insertion electromagnetic flowmeters Series FLOMAT, to bring drinking water to various towns and cities. Supply of level indicators, switches and transmitters models LC40, LT106 / AISI 316L and LT14 / PP and orifice plate flowmeters Series PR for fire hydrants and tank level control for the storage of purification products such as Caustic Soda, Sulfuric Acid and flocculants. Supply of 6001 glass tube variable area flowmeters and level indicators, switches and transmitters model LT14 / PVC for waste water treatment. Supply of level indicators, switches and transmitters models LT106 / AISI 316L and LT14 / PP for level measurement in Phosphoric Acid and Bisulfite Sodium tanks. Supply of metal tube variable area flowmeters Series SC250 for control cabinets for the degassing of molten aluminum. Supply of 80 pcs of glass tube variable area flowmeters model 6001 for the measurement of demineralized water at the Martorell plant (Barcelona). Supplied 165 insertion electromagnetic flowmeters Series FLOMAT from DN50 to DN1000 to be installed in metallic and PVC pipes, for wastewater treatment in a sewage treatment plant in Honduras. Supply of guided radar level transmitter LTDR series and level indicators, switches and transmitters model LTL116 / AISI 316L for indication and level transmission in alcohol tanks installed in hazardous area for Eras Ingénierie. Supply of SC250 / AISI 316L metal tube variable area flowmeters with ATEX certified enclosure for minimum flow control of in-line refining process (gasoline). Supplied 150 pcs of metal tube variable area flowmeters of Series SC250 for Fuji offset plate production lines. Supply of metal tube variable area flowmeters Series SC250 for increased pressure with special ANSI 600 lbs RTJ flange. Supply of level indicators Series LP for storage of NaOH in geothermal power plants. Supply since 2007 of more than 1400 pcs of plastic tube variable area flowmeters Series PS with special lightened float to reduce the pressure drop for the measurement of biogas flow in landfills. Supply of metal tube variable area flowmeters Series SC250 and level indicators model LTL14 for the production of stearic acid in one of the largest chemical companies in Poland. Supply of metal tube variable area flowmeters Series SC250 and M21 with indicator box in AISI 316L for oil platforms in the North Sea. Supply of a version of these instruments made in titanium with indicator box in AISI 316L also for oil platforms in the North Sea. Supply of a turbine type flowmeter model TM44 of special manufacture: ANSI 300 # “Large Groove” flange, Exd enclosure and special length to be adapted to the existing installation in AZOD (Cherkasy), one of the main manufacturers of chemical products in the country. Supply of level indicators Series LT in PVDF and PVC, for desalination plant engineered by IDE Technologies. Supply of level indicators Series LT / AISI 316L, with 4-20mA transmitter for n-pentene refrigerant in geothermal plants, engineered by ORMAT Engineering. Supply of electromagnetic flowmeters Series FLOMID of sanitary execution for drinking water dosage in rotary filling machines with bottles of 0,5 and 1,5 liters. Supply of by-pass level indicators Series LT with transmitter and Profibus protocol for Ras Abu Fontas desalination plant in Doha. Supply of 50 units models SC250 / AISI316L and SC250 / AISI316L + PTFE, metal tube variable area flowmeters, with 4-20 mA transmitter for aluminum refining plant. Supply of 20 units. of turbine flowmeters Series TM with explosion proof enclosure for China Petroleum C.C. Supply of 40 units of electromagnetic flowmeters Series FLOMID and FLOMAT for refrigeration system in Shanghai Hospital. Supply of 55 units of LD61 as level switch in ultrasonic cleaning machines. Supply of 10 units of electromagnetic flowmeters Series FLOMAT fully PVDF total made with Tantalum electrodes for steelworks POSCO. Supply of metal tube variable area flowmeter Series SC250 for Formosa Plastics Corporation. Supply of Series DP flowmeters for liquid mud measurement used in the drilling of oil wells. Supply of 160 units of Series 60M1 and 2000 glass tube variable area flowmeters for Ichthys Onshore LNG Project (Thermo Scientific) for condensate sampling in a combined cycle plant. Supply of level indicators, detectors and transmitters Series LT for storage of Diesel fuel in tanks for the Australian Navy. Supplied 300 variable area flowmeters with glass and plastic tube and orifice plate flowmeters Series 6000, PS and PR61 for supply of drinking water by the desalination of sea water in the Victoria desalination plant.